Here’s a fun gadget you can use in the bath or swimming pool, the Homer Simpson Floating Radio. 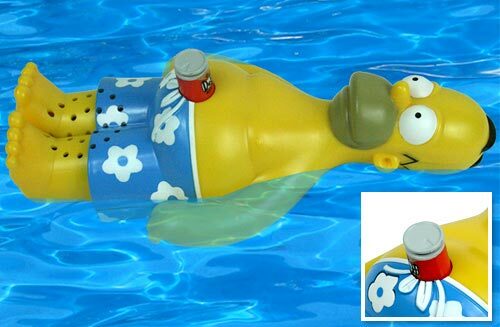 One of Homer Simpson’s favourite pastimes is relaxing on his back in the pool with a can of Duff balanced on his belly. There’ll be no real difference here, except he has a radio inside him for your bath time listening pleasure! The Homer Simpson Floating Radio is available to buy online for $39.33 from Drink Stuff.